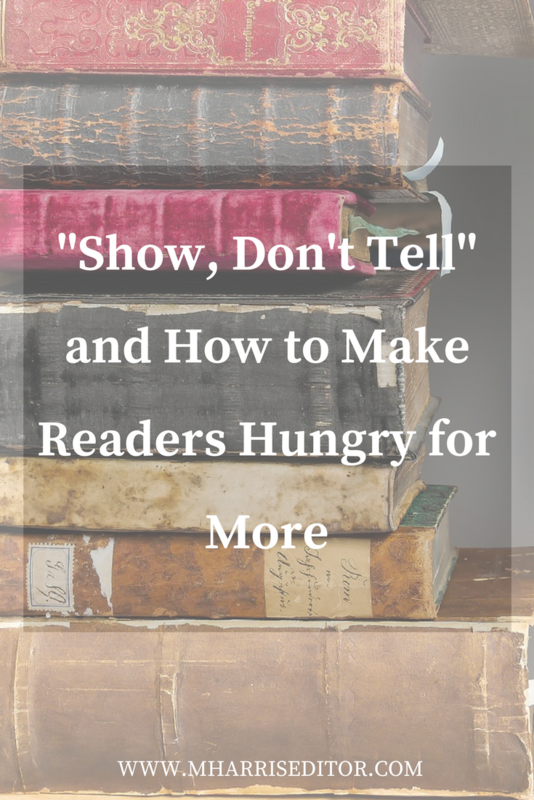 I don’t care how cliche it is – I tell clients “show, don’t tell” countless times (often until they tire of hearing it). I say this here because it’s been brought to my attention this is trite advice. Well, sometimes it’s advice like this that speaks volumes! You know why I repeat it so much? Because it’s true. How many times has a book languished because the writer took the easy way out and said, “Bob and Sue had a fight about chocolate chip cookies.” Don’t tell me this – show me it! What are their facial expressions? Does Sue throw flour at Bill? Do they reconcile their differences about the recipe? How? Readers want to know and deserve better. It’s your job to deliver. It’s talked about so much that people roll their eyes, but you know what? It’s advice that, if adopted, makes your story a thousand times better and keeps readers interested. When I’m editing, I think about what the scene would look like from the outside. What kind of facial expressions can you expect from someone who is facing hard news? Learning about a secret? Picturing how that would look can help you set up different cues and bring your characters to life. For example, if a character surprises someone, the person reacting shouldn’t be bored or lifeless like a cardboard cutout, but should come to life with movement, a shocked tone to their voice, and a look on their face showing surprise. Without that, you may as well put a mannequin as your character’s understudy. Understanding where the characters are relative to each other, relative to other objects in the room, etc. will help set the scene just like a movie set. No, don’t lick your computer. Repeat: do not lick your computer. It will not taste good and it won’t help you write better! However, you can use your senses when you think about your actions in your scenes. 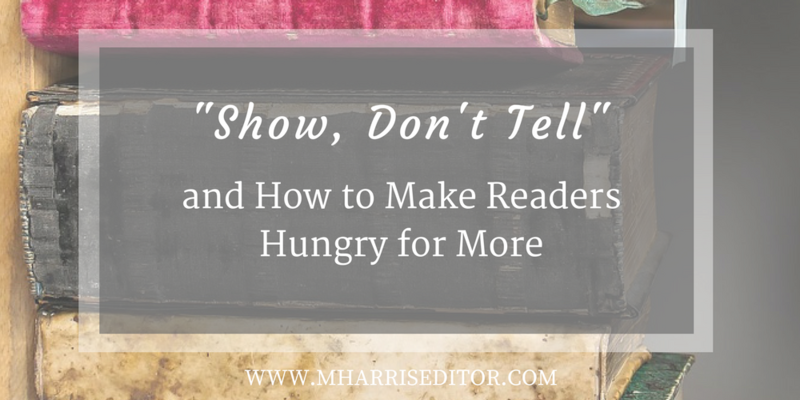 Yes, to some extent, you’ll have to tell the reader how something tastes or sounds, but showing the action as the characters react to the environment will go a long way in helping build an authentic scene. The sun was bright and he squinted as he walked. He squinted hard against the blinding white-hot sunlight. Heat rose from the sidewalk as he trudged toward the door. The biggest struggle writers can face when trying to show action is keeping the point of view of the narration in mind. Regardless of first person narration, third person narration, or a narrative from an omniscient point of view, the POV is important to consider. Rather than fall into the habit of telling the reader about what a character sees or what they would see from an omniscient viewpoint, try to think of each scene and who the actions most affect. This can help guide your writing. The whole point of showing action rather than telling it is to develop your characters and take your story to a higher level. The only way you can do that is to tap into your creativity and make what you’re working on count. Pull out all the stops and develop ideas that surprise and challenge you. After all, what’s the point of writing if you can’t have a good time with it?